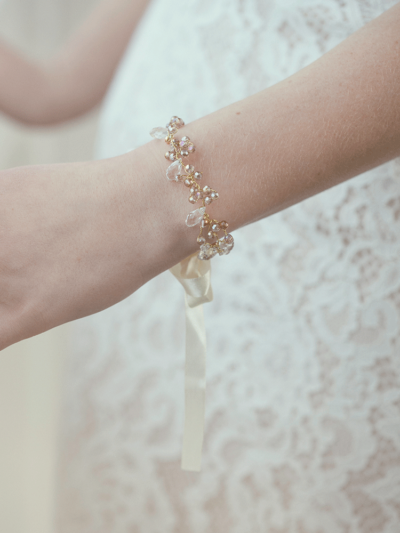 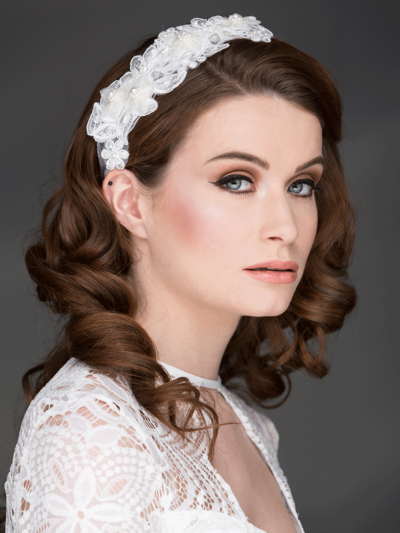 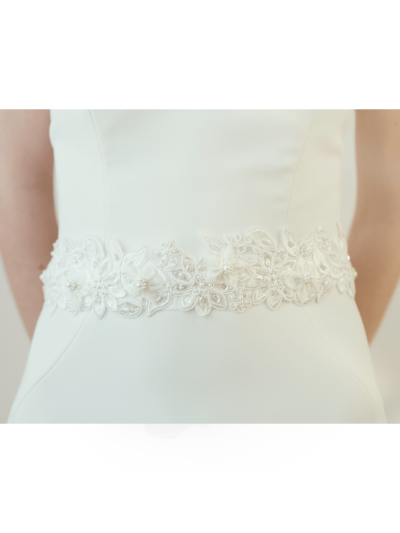 Our handmade ivory lace bridal cuff with organza flower and pearl detail. 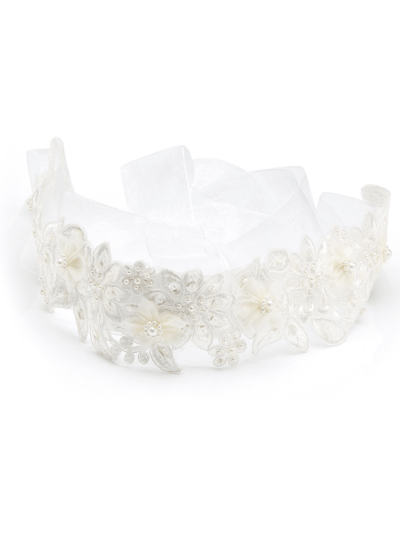 This cuff can be designed using white lace and organza, contact for details. 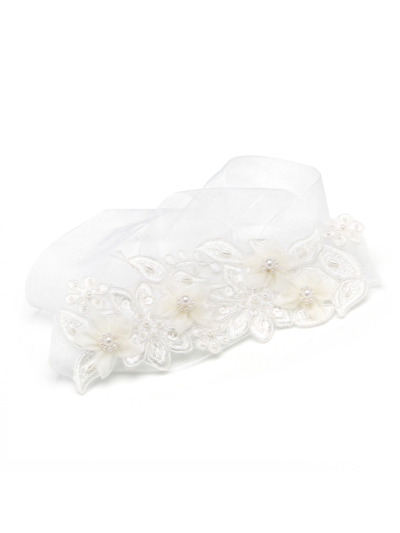 We have a matching wedding belt and hair wrap to complement this design. 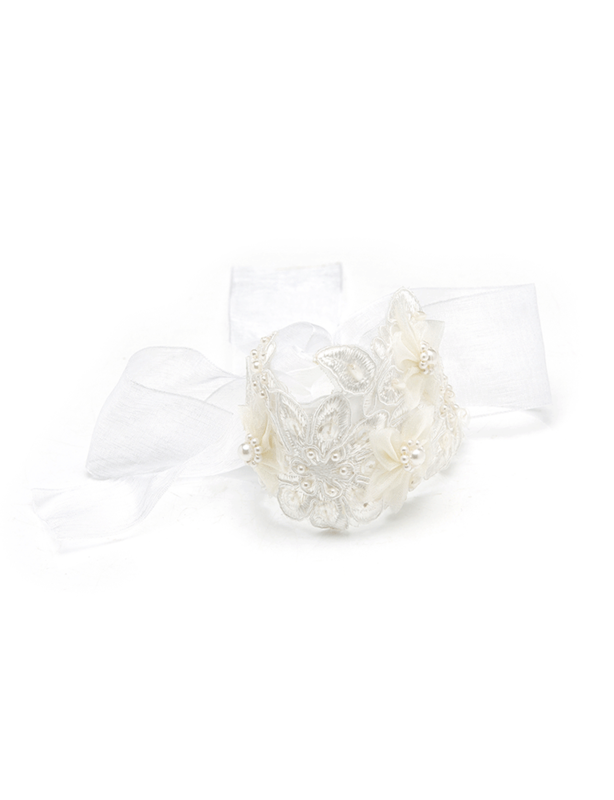 Our made to order ivory lace bridal cuff with organza flower and pearl detail.